The University of Arizona is located in the heart of the Old Pueblo: Tucson, Arizona. A dynamic city surrounded by some of America’s most beautiful landscapes, Tucson is a great place to be a graduate student. Tucson is surrounded by mountain ranges on three sides rising to more than 9,000 feet. Hiking, rock climbing, mountain biking, fishing, river rafting, water skiing and horseback riding are all easily accessible – and thanks to Tucson’s warm climate, you can enjoy these activities all year round. Southern Arizona has the most sunny days of any region in the United States. The southernmost ski lodge in the USA is on nearby Mount Lemmon, so winter snow is only an hour’s drive from campus. Tucson is also only a few hours from the beaches of northern Mexico. 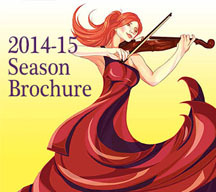 Tucson is home to several theater companies, a symphony orchestra and opera, as well as a myriad of cultural experiences unique to the American Southwest. The University of Arizona hosts UA Presents, bringing internationally-ren owned dance, classical, jazz, pop, theater and spoken word artists to campus. Recent performances have included Talib Kweli, Death Cab for Cutie, the Chieftains, David Sedaris and Paul Taylor Dance Company. Concert venues both large and small welcome music acts all year. 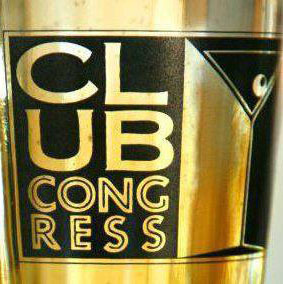 Club Congress and the Rialto Theater host indie and up-and-coming bands, while the Ava Amphitheater and Phoenix’s University of Phoenix Stadium feature major national tours. Tucson has a nationally-recognized local music scene, with numerous venues to see live performances in the Fourth Avenue and Downtown districts close to campus. The Tucson Weekly is a great resource for upcoming events. For sports fans, Arizona offers professional baseball, football and basketball teams, as well as the University of Arizona’s championship softball and basketball teams. Tucson is the spring training destination for the Colorado Rockies, the Chicago White Sox and the Arizona Diamondbacks, and is home to the Diamondbacks-affiliated Sidewinders AAA baseball team. As the home to both a major university and a population of over a million people, there is always something to do at night in Tucson. Two major cultural districts within walking distance from the UA campus are Fourth Avenue and the downtown/Congress Street area. Both areas offer a mix of clubs, sports bars and restaurants, all reasonably priced. Twice per year, downtown entertainment district Congress Street hosts the Tucson Club Crawl, a festival of live local music. 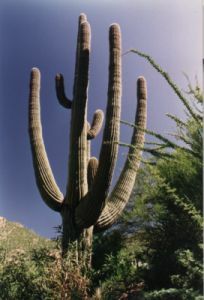 Tucson is uniquely situated close to both the beaches and cities of northern Mexico and some the most beautiful scenery of the American West. Tucson is within a few hours drive to Phoenix, Santa Fe, San Diego, Los Angeles and Las Vegas, as well as the Grand Canyon, the Painted Desert in Petrified Forest National Park, and Zion and Bryce Canyon National Parks. Mexico is only a short drive south. 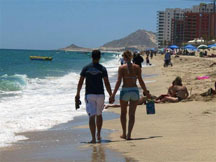 Beach resorts, such as Puerto Penasco on the Gulf of California, are popular destinations for a local getaway. You have several transportation options within Tucson, including our public transportation system and some of the country's most bike-friendly roads. M any students in Tucson own cars. Tucson has mild traffic compared with major metropolitan areas, and the city can be crossed east to west by car in about half an hour. Parking on the UA campus requires a permit. UA's Parking and Transportation Department has more information regarding on-campus parking. SunTran, Tucson's award-winning city bus system, provides service throughout the Tucson area, including several routes that serve the UA campus. Tucson also has a new streetcar system called SunLink. The UA's U-Pass program offers students up to 50% off on annual or semester bus and streetcar passes. One of the most popular ways for students to get to and around campus is by bike. Tucson has long been recognized as one of America's most bike-friendly communities, thanks to bike lanes on routes throughout town and a climate that is amenable to year-round biking. Tucson is accessible via air through our local Tucson International Airport, or Phoenix's Sky Harbor International Airport, located two hours north of Tucson. Tucson is also accessible via car off of Interstate 10. There is much more to see and do in Tucson than we can list here. The following sites will help you learn more about living in Tucson.